In a whirlwind three years, the band has also performed at the GRAMMY Awards Premiere Ceremony, received standing ovations at the Grand Ole Opry, reached the No. 1 spot on Billboard’s Top Bluegrass Albums chart, and opened for the Zac Brown Band that included two nights at Fenway Park. 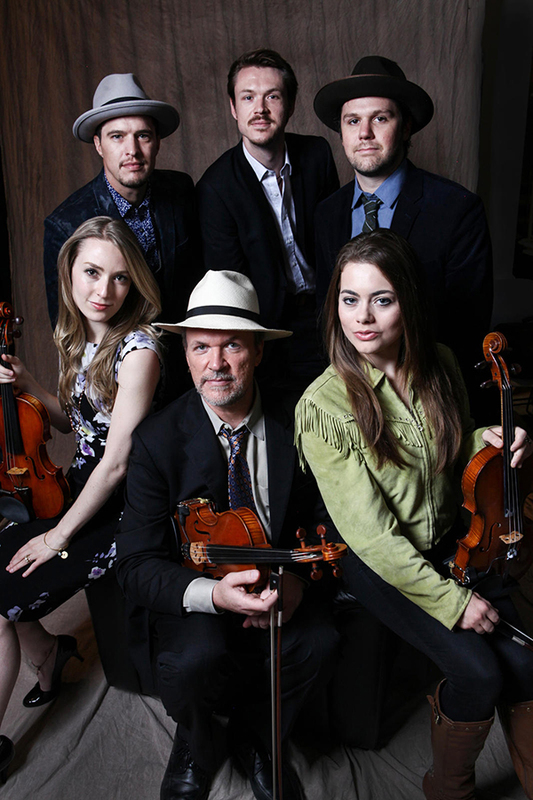 They have put together shows unlike any other, blending country and pop sensibilities with Americana rawness, bluegrass drive, and chamber music sophistication, one that has begun winning over audiences at festivals (AmericanaFest, GreyFox, IBMA, RockyGrass), clubs (Jazz Alley, Dakota Jazz Club), and the world’s premier Performing Arts Centers (Arlene Schnitzer Concert Hall, Eastman Kodak Theater, Glasgow Royal Concert Hall, Schermerhorn Symphony Center). If the band’s first three years were a flash flood, their next few will be a calculated, steady rise. They continue to perform select engagements, doing an array of original songs, classics, and barnburners that require versatility and a depth of musical insight that few bands on the scene today can match.